The real advantages of an electric bike or e-bike include their climbing efficiency, taking a bite out of wind resistance and the ability to expand your range of travel. Before purchasing an e-bike it is important to know how far you want to go and what type of terrain you will be riding it on. 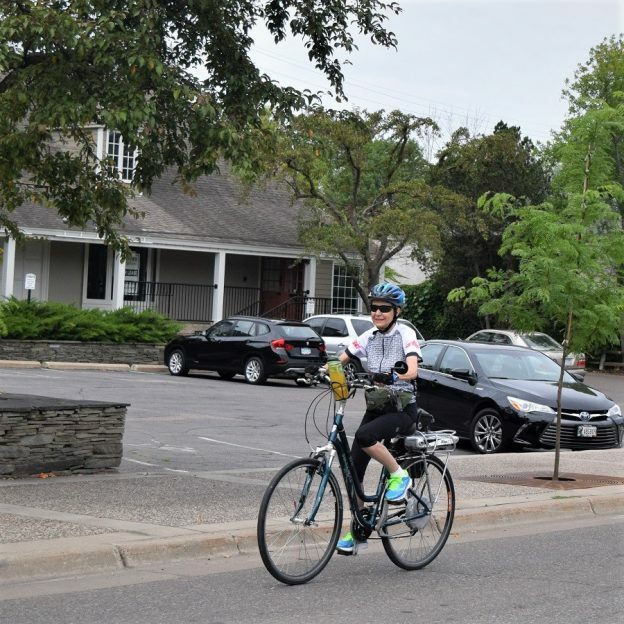 For those who have experienced a medical issue or sports injury, an e-bike can breathe new life into your desire to stay active while having fun. With a little assist, you may again want to re-connect with your cycling buddies or add that #NextBikeAdventure to your list. Plus, if you are planning on commuting to work by bike, you will arrive feeling fresh. Now that you have a reason to consider an e-bike, it’s time to choose the right one! With thousands of electric bike models on the market, there are several things to consider when buying an e-bike. The last item on our list here at HaveFunBiking is to test ride the e-bike you are looking to buy. Consider the e-Bike Challenge at the Minneapolis Convention Center, March 23-24, or visiting several bike shops to compare. With all the e-bikes on the market today, design options vary to fit different people and their preference of use. It’s up to you to decide what is most important. With so many models to choose from, first, you should figure out where you’re going to be riding your e-bike. Geared to accommodate different kinds of activities (cargo hauling; relaxed cruising; trail riding; mountain biking; child transportation; road biking; fat bike riding; touring; and urban commuting) compile a list of question. 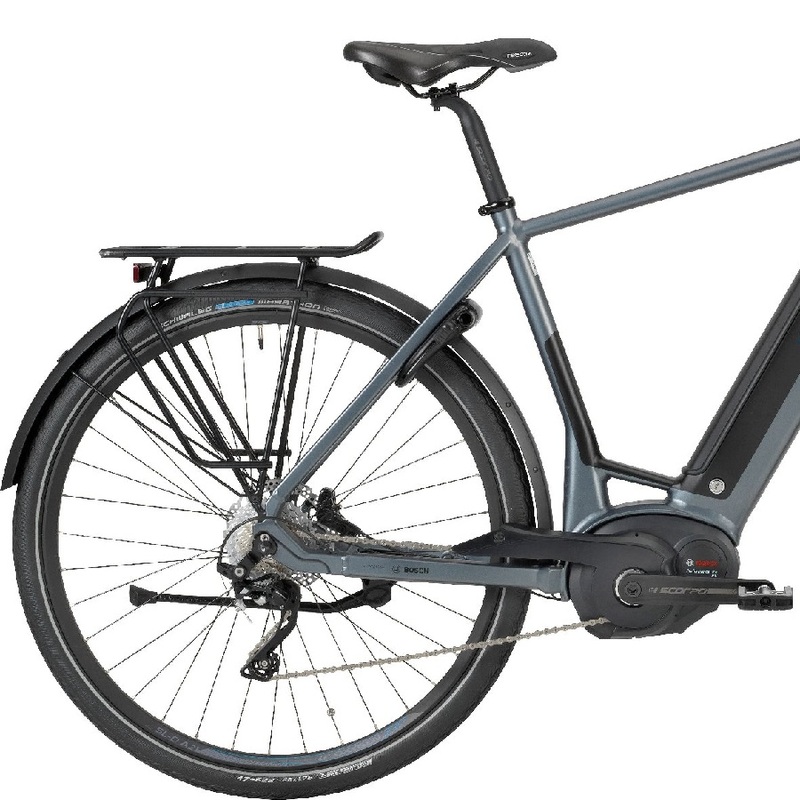 The first one, ask yourself before entering a store, what will be my preferred bicycling activity with a new electric bike? There are two mains types of e-bikes. The most common is what has come to be called the “pedal assist.” This type of system monitors the rider’s pedaling and automatically adds a certain amount of motor assistance – usually depending upon rate, force, and speed. In most places, the output of the motor is regulated and limited to no more than 750 watts and the maximum speed up to 20 mph or 32 km/h. When you reach this speed, the motor automatically disengages. A few models in this category also offer the ‘twist-n-go’ option. This is where a switch on the handlebar, like a throttle on a motorbike, is used by the rider to trigger the assistance from the motor. The second drive train system is set for high-performance electric bikes that can easily achieve speeds much faster. Riders with these faster drive train systems need to have a special driver’s license, plates, and insurance. The regulations differ in every state and country, so it’s important to ask your local bike shop for details. There are two main types of motors and where they are located. The hub motor assist is located in one of the wheels and is the most common. Hub motors, which place the electric motor in the center of a bicycle wheel, are the most common. This e-bike power source tends to be quieter but often doesn’t handle hills as well as crank assist c, center mount systems. 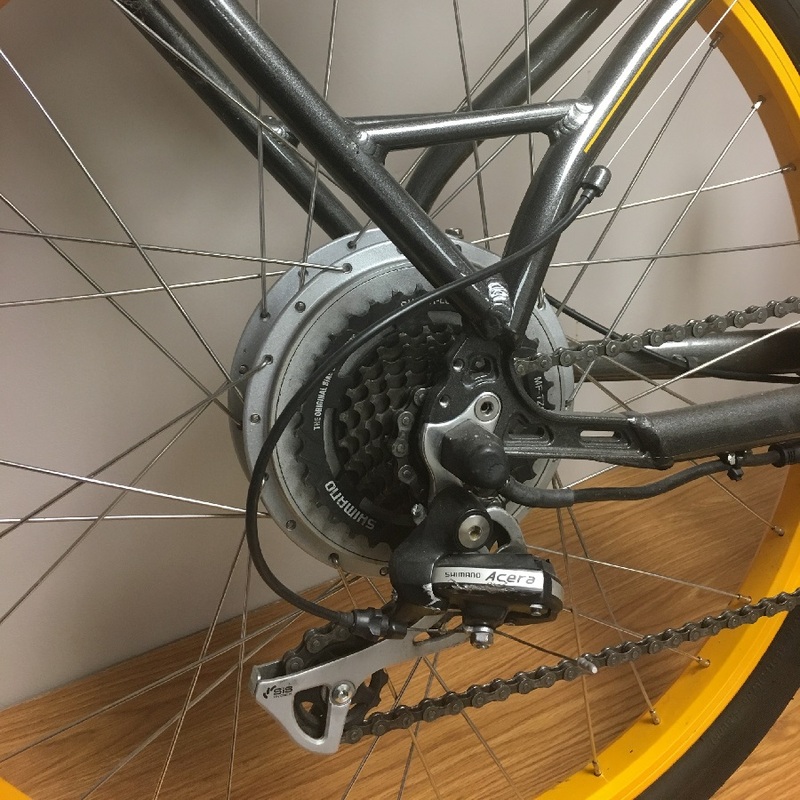 Located over the center mount in the crank and pedal area the crank motor assist is at the bottom of the frame transferring the motor’s power to the rear wheel via the bicycle’s chain. That means the electronic controls can include a sensor that detects how hard you’re pedaling and can measure out the assistance accordingly. Typically, crank assisted bikes have become much more common over the last couple years, and have a reputation for doing well on steep hills. Both have a number of unique advantages and disadvantages, so choosing the right motor for you will largely depend on your requirements and which advantages seem more useful to your needs. Generally, you should look for a brand with a good reputation, such as Bosch, Brose, Panasonic, Shimano, and Yamaha. One of the most expensive components of your new e-bike is the battery. Most of the price involved these days in buying a ready to go e-bike is the size of the bikes lithium-ion battery pack. Thes batteries are everywhere, so it’s no surprise to find them powering e-bikes. More expensive e-bikes have higher-tech batteries that are lighter, charge quickly, and last longer. Batteries degrade over time, holding less charge as they age. The quality of the battery makes a difference, so look for a reputable named battery manufacturer. Then make sure the warranty covers the battery for at least two years. Conservatively lithium-ion batteries are typically said to last for 1,000 full charge cycles. That’s about three years of weekday commuting. They survive longer with careful use, so you should get at least 2,000 half-charge cycles. In practice, a battery life of several years is quite easily achievable depending on how often you charge and store the battery. The distance an e-bike will go on one charge of the battery is called range. It’s probably the most important specification. If your commute involves a big hill, for example, you don’t want to run out of juice halfway up. Without power, an e-bike is just a heavy bike. 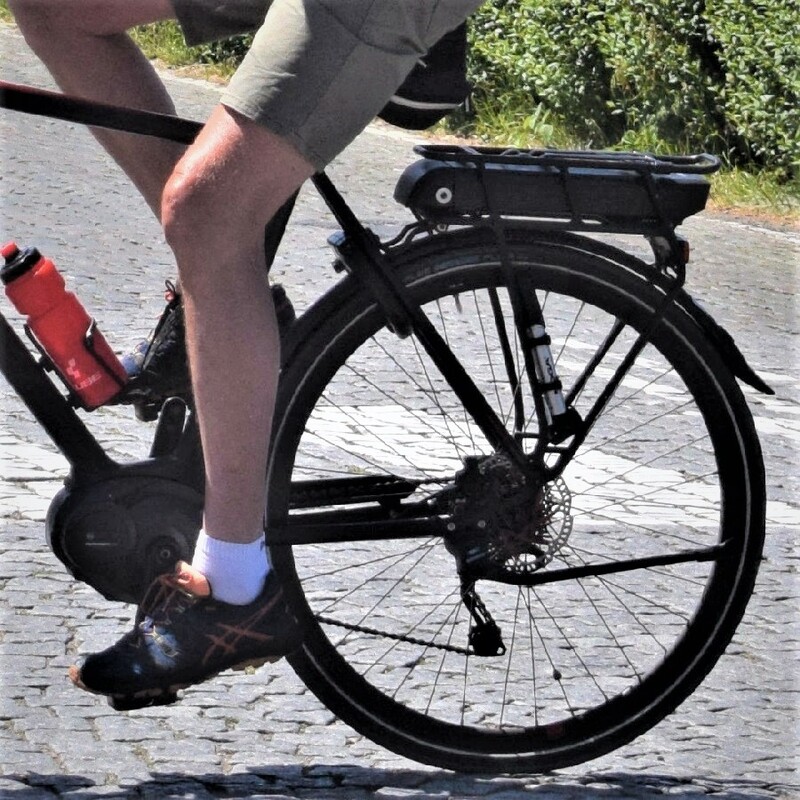 The range depends on the battery capacity, the speed, your weight, profile of the commuting tour, the assistance level you choose and percentage of given pedaling power. If you’re only going to do six to ten miles of daily commuting, you don’t need a batter and motor set for a 50 to 70-mile range. However, you should buy a bike with a higher range than you necessarily need because the range will drop as the battery ages and loses capacity. Good e-bikes are not cheap as I mentioned above. You can pick up a very basic model, but how long are you going to be happy with it? An average bike with a quality frame, functional brakes, suspension, and other components is expensive. Now, when buying an e-bike you have to add the cost of the motor and battery. The cost the battery, with a reputable warranty, along can cost $500 to a $1,000 so don’t be surprised by the higher price, a better bike lasts much longer. Perhaps the most important (and fun) part of buying an electric bike is test riding it. Trying an electric bike allows you to put aside skeptics, reviews, and research and just answer the most basic question: Do you love this bike? The E-bike Challenge will combine both cycling tourism and cycling sports into the venue to give you all the facts. If so, then start asking a few other questions: Does it climb hills in the way I need it to? Does the bike fit me in the way I would like it to? And, does it have the quality and functionality I would like? 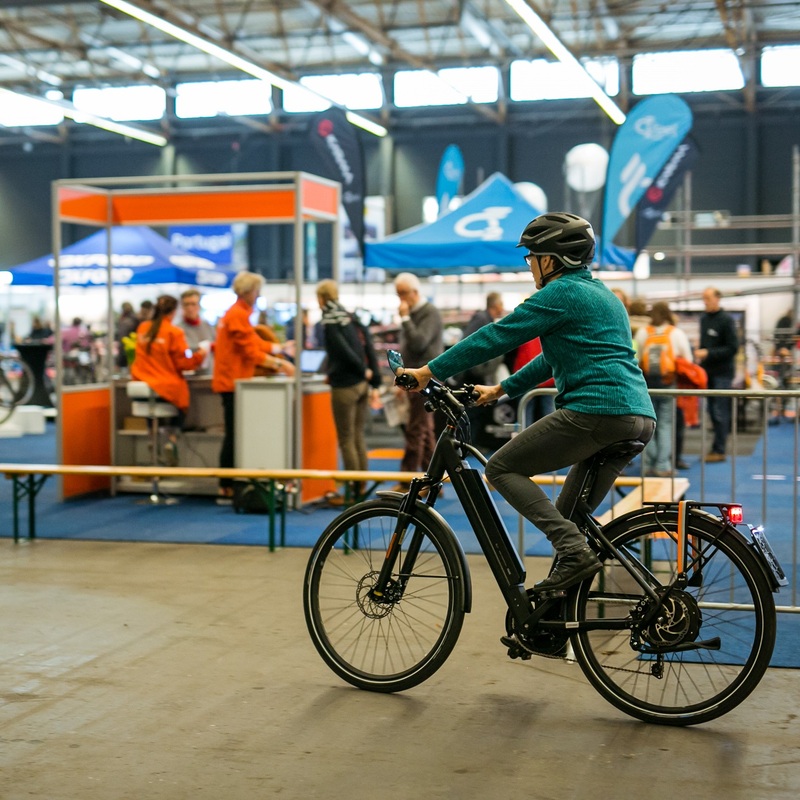 These questions and more can easily be answered by the experts at the E-bike Challenge Minneapolis, March 23-24, 2019. So, make your list of question and prepare to test ride some of the best e-bikes on the market. This entry was posted in News, Products and tagged Bicyce Tourism, bike accesories, Bike commuting, bike touring, cargo bikes, E-bike Challenge Minneapolis, e-bike test track, e-bike theater, ebikechallengeM, Hicle Inc., Minneapolis Convention Center, Minneapolis MN, Mountain Biking on February 20, 2019 by Russ Lowthian.